A few years ago, I listened to my first audio books when I took a solo road trip. Bossypants was excellent, yet Code Name Verity was not as excellent from an audio book standpoint (more on that later) and I haven't really picked them up since. At the time, I thought my only opportunity to really listen was in the car without kids. Now that they're both in school, that's changed somewhat, and I also came to the realization that I can listen while grocery shopping, while doing dishes, laundry, etc. just like I do with podcasts. Specifically, the beautiful and literary feeling S-Town really convinced me to give the medium another go. However, my dilemma with audio books is that I have a proclivity for leaving things to my imagination. For example, I want my kids to read Harry Potter books before they see the movies because I believe it's important to first have the experience of conjuring Rowling's amazing world for yourself. This is going along just fine with my older child, and hopefully my younger one will be on board. It's the same with movies - if there's a book involved that I'm interested in reading, I probably won't see the film until after I've read the original work (like Brooklyn). Now, I absolutely respect opposing viewpoints on this one! My husband claims the opposite and actually saw the Harry Potter movies first - GASP. He says that it enhanced the reading experience and that there's still quite a bit of engaging your imagination muscles, even if you have some preconceived visuals. (Another side note, my husband is in the audio books are 'cheating' camp, and I am not - here's some science on that. But, again, you do you!) When it comes to audio books, though, I'm afraid that the narration an actor brings to the book will place a voice in my head that I didn't conjure for myself, and... That bothers me. Also, as was the case with Code Name Verity, major visual plot points can be missed in an audio book. I certainly don't want to spoil what ended up being a wonderful story - suffice it to say that I switched to the print version half way through and thankfully had the print in front of me. If you've read it, you know of what I speak. So! I initially solved this dilemma by starting with memoirs read by the author. (I am curious if there are indeed any memoirs NOT read by the author out there, which would be weird...) I already thoroughly enjoyed Bossypants and listening to many of David Sedaris' stories on various NPR podcasts - I figured this was a no-brainer. Alas, I didn't love Jenny Lawson's book, nor Ariel Levy's. The more I thought about it, other than Bossypants, I really don't gravitate towards memoir. So! I caved to some fiction with Lincoln in the Bardo since the buzz around this book really seems centered around the audio version, and I could listen to Nick Offerman read the phone book. Thank goodness, because now that I've finished it... I would say that the phone book might have been as stimulating to me. Is it a novel? Is it a play? Is it an annotated history book with some maudlin storytelling thrown in? Is it esoteric poetry for Civil War enthusiasts? I paged through the print version at the library the other day and I'm glad I listened to it, because the way it is written is rather like a screenplay and there are over 164 characters. There's no way I would have picked it up. Or if I had, I wouldn't have finished it, as I did with the audio. The dramatization of the (164!) characters helped me keep them straight, to a degree. There is a great deal of quoted material, and it felt like pages upon pages of a boring history book, with all sorts of completely useless bits: the conflicting weather reports on the day of the party at the Lincoln home, the weather the day of Willy's funeral, the color of Lincoln's eyes (how many ways can people say grey-brown? A LOT. ), commentary on Lincoln's appearance (so many ways to convey: ugly) and his demeanor (which belied said ugliness). There were so many pages dedicated to outside sources, I wonder what would have been left standing of this noveI without them. As for the fiction, it felt meandering and lacked any kind of real plot or urgency until the very end, which was indeed poignant and captivating. I concede that I also loved the character development of Bevans and Vollman, as well as the thought provoking way in which the dead affected Lincoln. Yet none of this was enough for me to actually like the book overall. If atmospheric, introspective and cerebral are your jam? This is the book for you! For a lovely, haunting and ENGAGING novel about the afterlife, I would recommend The Brief History of the Dead by Kevin Brockmeier. So! Now I am not sure where to turn. I know Lincoln in the Bardo is not a typical novel, so I am not ruling fiction out completely. Maybe I should give some thrillers or mystery a try, since I don't usually gravitate towards the genre in print and wouldn't read them otherwise? Still, I think I can continue down the memoir path, and just keep ticking off all the titles I've meant to read over the years. I have started The Glass Castle and so far, SO GOOD! Maybe I need to steer away from the comedic and focus on backlist memoirs with a proven track record. I also might try Erik Larson on audio. The Devil in the White City is one of my favorite books, and I've been meaning to read more of Larson's work. If anyone has listened to Dead Wake or In the Garden of Beasts , let me know! This is the part where, if you've read this far, you give me your favorite audiobook titles that aren't literary fiction: HELP. This is pretty much how I feel about audiobooks! I've successfully listened to one novel myself (as an adult) and part of Jim Gaffigan's with my husband (mostly to motivate him to listen to it, I had previously read it). I listen to a lot of podcasts but those seem easier to pick up and put down than an audiobook! I think I could do more of the memoirs but just haven't found a way to work into my schedule. I am not alone!! Yay! Yes, podcasts are more my speed for sure. I'm aiming for one audiobook a month, tops. 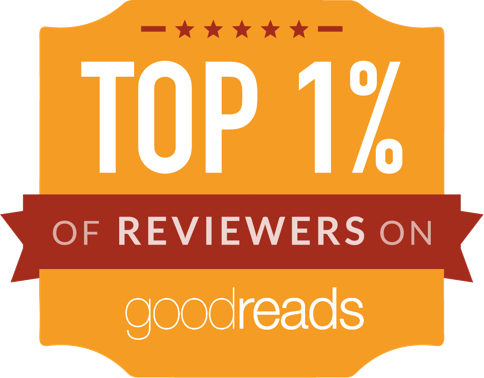 I did go and read through some of the one star reviews on Goodreads, and there were many thoughtful responses that I was nodding along with. Oh yay! I think I can help you! I've had many of your same issues with audio and now have more or less found my niche. It's lighter nonfiction...sometimes memoirs, but sometimes not. "Life improvement" and popular science/behavioral economics books work well for me. 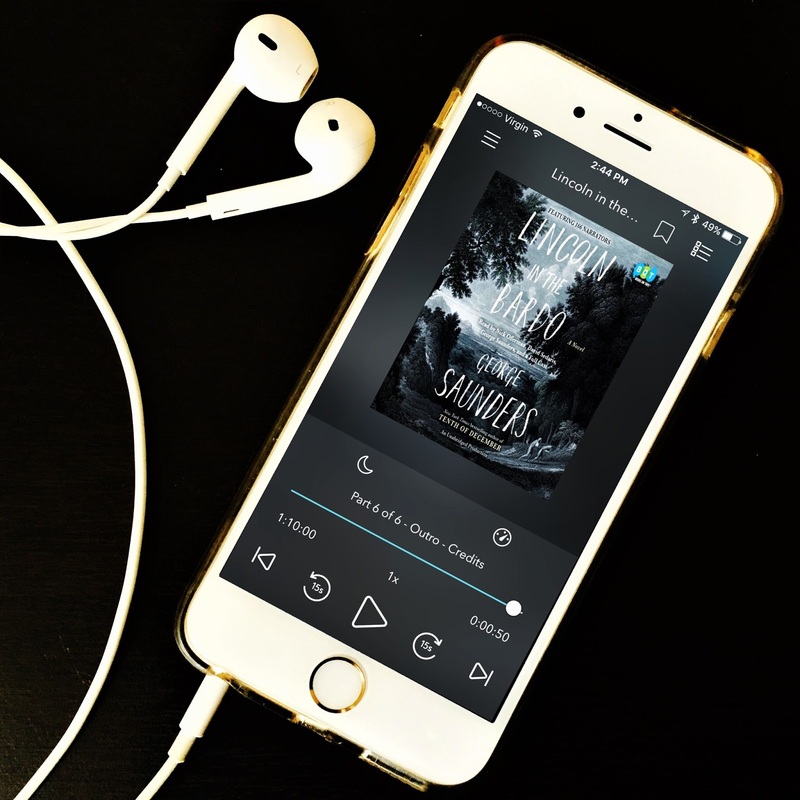 I wrote a whole blog post about the different kinds of audiobooks that work for me (https://www.sarahsbookshelves.com/5-types-audiobooks-that-converted-reluctant-listener/). Since I wrote that post, some favorite audiobooks are The Stranger in the Woods by Michael Finkel, Lots of Candles Plenty of Cake by Anna Quindlen, What I Talk About When I Talk About Running by Murakami, Books for Living by Will Schwalbe, Originals by Adam Grant, and Grit by Angela Duckworth. And Tiny Beautiful Things by Cheryl Strayed is my all-time favorite audiobook. I'm thinking of doing Option B by Sheryl Sandberg next. Hope you can find your niche! Best when read by the author is my 2 cents. I loved Between the World and Me and currently listening to I know why the caged bird sings. Also recently listened to bringing up Bebe, not read by the author though. Lighter stuff is best for sure. I have actually read (and enjoyed) all of those :) haha! But, now that I think back on it, they would have made for great audio! Oh my gosh! I felt much the same way you did about Lincoln in the Bardo and I read it. The book was manic, over the top. I couldn't wait to be done with it. As for audio fiction, I don't think you should give up on it. I'm fairly new to audio and have found that I've enjoyed both fiction and nonfiction. I'll listen to a book for about an hour and if I'm not into it, then I return it. Audible is really good about that. I just finished listening to Eleanor Oliphant is Completely Fine by Gail Honeyman and it's hands down my favorite audio EVER. Really! I'm going to review it next week. I also really enjoyed Exit West by Mohsin Hamid earlier this year. I agree with Sarah that A Stranger in the Woods was a great nonfiction and also Born a Crime by Trevor Noah. (I reviewed both on my blog.) Hope the audios start working for you. I have been listening to audiobooks for 20 years now and truly can't imagine my life (or completing my daily life tasks/chores) without them. That begin said, Lincoln in the Bardo was a bit crazy! I did ultimately enjoy it but only once I gave myself permission to not try to figure out who exactly was speaking, what exactly was happening, etc. That's a time period of particular interest to me though, which also helped. I get what you are saying about the narrator taking some of the imagination work out of things with their reading, but I find that if the book is well written and well narrated, the narration doesn't do too much work for you. If the writing is weak or clunky, then the narration tends to be the same. I wouldn't give up on fiction! I echo the recommendation of Eleanor Oliphant is Completely Fine on audio and Trevor Noah's Born a Crime (which he narrates). Some of my all-time favorite fiction listens are Ready Player One by Ernest Cline, 11.22.63 by Stephen King, Lonesome Dove by Larry McMurtry, and Goldfinch by Donna Tartt. I also loved the memoirs A Girl Named Zippy and She Got Up Off the Couch by Haven Kimmel, but I don't think they were read my the author so that's not much help. I'll have to think about other memoir recs. I am DEFINITELY doing Born a Crime on audio, and I do plan on trying more fiction :) Thanks for the recs!! So there are some books I cannot listen to in audio, and some that I only listen to in audio form. I adore the Louise Penny books on audio - the narrator is fantastic and all those French words being properly pronounciated does it for me. I also listen sped up - my biggest beef was always that I read so much faster than I can listen, and finding out I can turn the speed up to 1.5 or 1.75 has been a game changer. Don't give up! Try a few out by Overdrive so you aren't spending the money looking for something that works for you. I always have an ebook and an audiobook going at the same time.